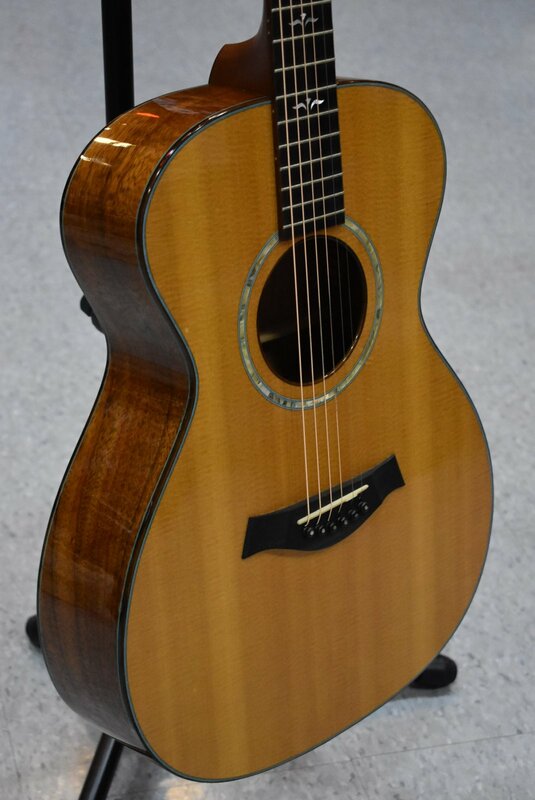 RARE 1994 Limited Edition features Taylor's Grand Concert Design with Solid Koa Back and Sides and Beautifully Quarter-Sawn Solid Sitka Spruce Top. Rosewood Binding with Blue Purfling. Abalone Rosette. Ebony Fingerboard with Rosewood Binding and Artist Inlays. Ebony Bridge. Gold Grover Tuners. Fishman Active Under Saddle Pickup. Installed. EXCELLENT CONDITION with Several Small Dings on Top and Several Minor Scratches on Back. Minimal Fret Wear. A Very Sweet Little Guitar Well Kept and Loved for 25 Years. OUR PRICE: $ 2499.00 with Taylor Hardshell Case.